Such was the unrelenting dread of the Man Booker International shortlisted Fever Dream, some readers may be somewhat reticent to pick up another of Samanta Schweblin's works. Despite and because of its flowering foreboding, that 2017 publication seems near impossible to follow. 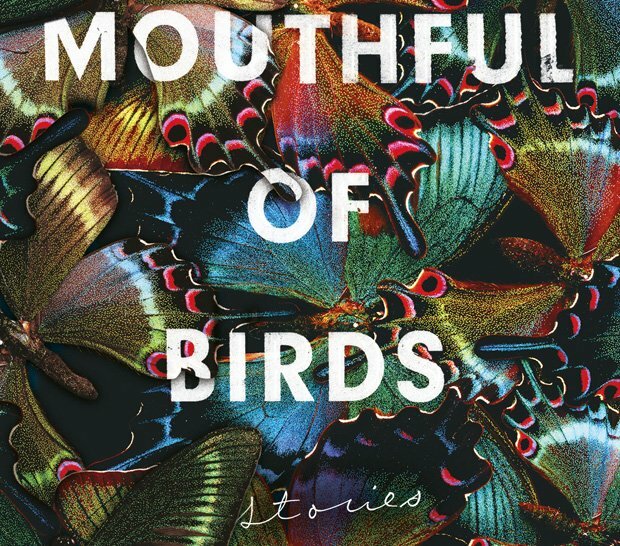 Perhaps it's shrewd, then, to skip back and start with the Argentine's short story collection Mouthful of Birds, which was written in 2010 but only just translated from the original Spanish by Megan McDowell (a quality Kitemark for translated fiction). These fabulist half-light tales leave some elements tantalisingly unsaid or off-page, but are sharpened through her technique and clarity of prose. While their terrain feels otherworldly, it is all formed from domestic everyday stresses and relationships spun into off-kilter dreamscapes: a married couple desire to have a child just a little too much; a daughter is considered to be as fragile as a butterfly, when the greatest danger is her father's protective fist closing in around her. Like dreams, these 20 tales are all-too ripe for deconstruction. Some seem transparent in their meaning, others are opaque puzzles. But original intent can be inconsequential. Upon publication, meaning is remanded to the custody of readers. Schweblin is among the many Latin American writers currently pushing boundaries (in 2010, Granta chose her as one of the top authors under the age of 35 writing in Spanish). While these earlier stories nod to magical realist masters, such as her compatriot Borges, the writing feels challenging and contemporary and is fresh meat for the English language reader.